I am actually really happy with the outcome. They may not be as perfect as the one’s on the magazine cover; but they look lovely and taste marvelous. Sift the powdered sugar (so it won’t clog the decorating tip). Combine sugar with meringue powder until well mixed; stir in water. Beat on low speed until ingredients are moistened (about 30 seconds). Increase mixer speed to medium to high speed and beat for 5 to 8 minutes or until icing is very stiff. If icing is too stiff, add a few drops of water or flavoring, if too liquid, add more sugar, until icing is of a piping consistency. Divide into portions and tint to different colors, using a few drops of coloring (a little goes a long way!). 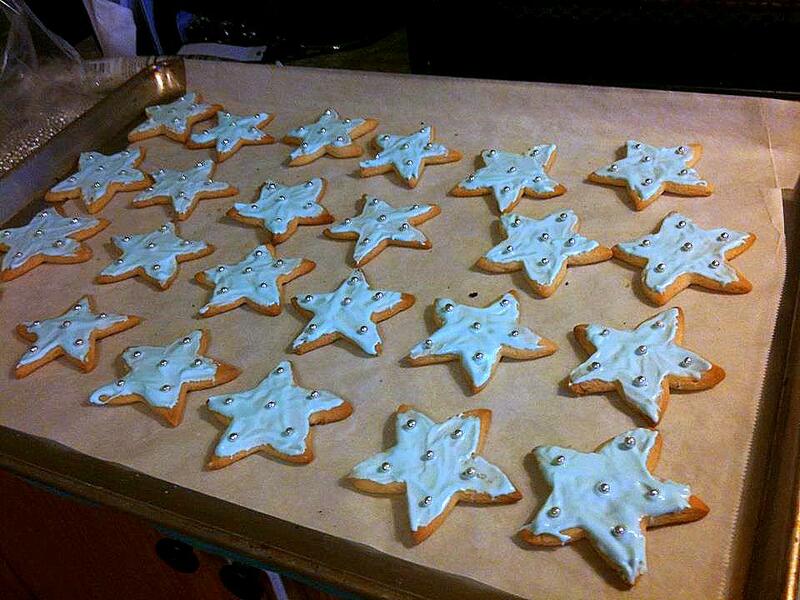 Use icing immediately or keep covered to prevent it from drying out.